TerraFire 2.05 - full game now free! TerraFire is an award-winning arcade game featuring 3D-rendered graphics, realistic gravitational physics and 360 degree parallax scrolling. 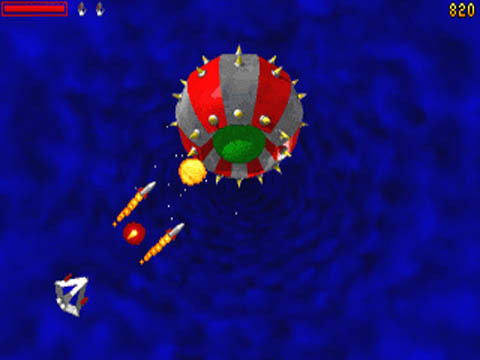 TerraFire features 27 missions (including 6 hyperspace levels), spread across 5 unique worlds. 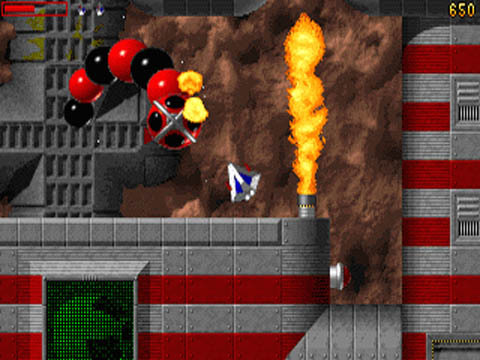 TerraFire is one of our oldest games, first released in 1997. 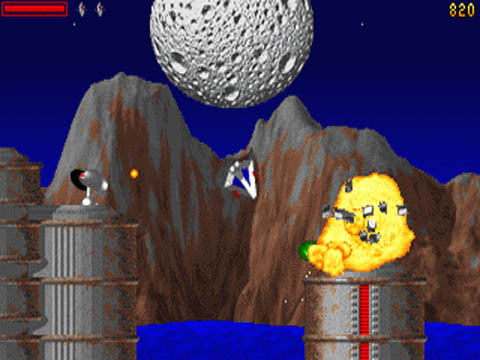 To run it on most modern computers (Windows, Mac and Linux) you will need a 'DOS emulator' such as DOSBox. If you can't run the game's Windows-based installer, use this zipped copy. 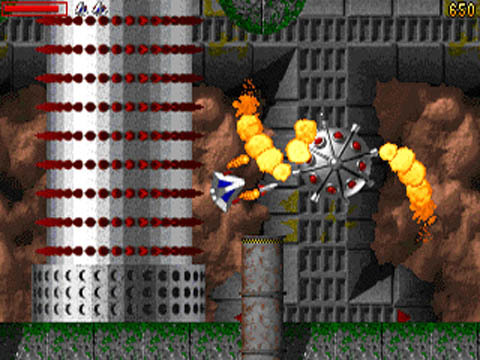 TerraFire can also be played through an online emulator here. For a more modern alternative to TerraFire, try Astrogeddon.